Proxying cards is a hot-button issue for a lot of EDH players. On one hand, it’s a casual, non-sanctioned format that is nominally about Fun/Social gaming, so why does it matter if the cards are real or not. Some of the best cards in the format are $100+ . On the other hand there are copyright/counterfeit implications, as well as some indignance by those with $100+ cards when other people get to have the same effect for 5-cents. I’m not going to go any further in to the debate; if you’re reading this, you’ve probably read it all before. Instead, I’ll just explain how I handle proxies. My basic policy is: If you own a copy of a card, you can proxy it in a deck. I call this the Physical MTGO rule. If you own the cards that you need for a deck, you could theoretically build that deck, so go ahead and use them. This is, of course, within reason. A deck of all sharpie-proxies would be ugly and hard for opponents to understand, and just printing out an entire deck is kind of lazy (except not, because that’s a lot of physical cutting and pasting). In practice, I have “placeholders” in a lot of my decks. 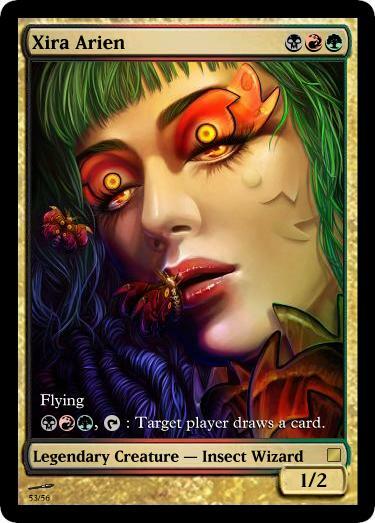 Sharpied lands that hold the slot in the deck for the actual card. Whenever I can, I keep a binder of my most commonly used cards so that I can swap cards in if I draw the placeholder (or, if playing with sticklers who are willing to wait for me to prepare a deck, swap the cards in before a game and swap them back out afterwards). 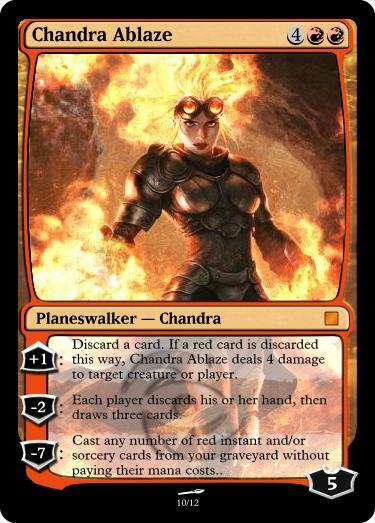 It’s sort of like the “Commander Cube” idea, with out the pain in the backside of having to Draft. 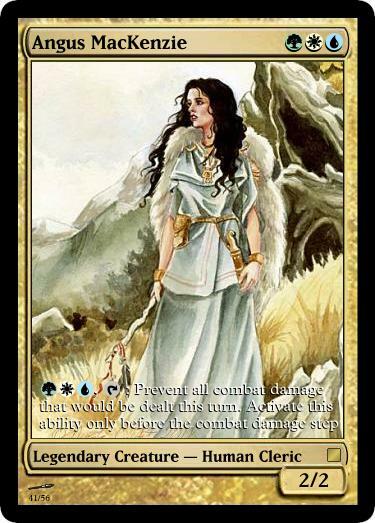 Other cards that I frequently have placeholders for: Good lands that are also expensive (Urborg; Cradle; Stronghold, etc.). Genesis; Survival of the Fittest. None of these are cards that I play in every deck that they could fit into, but when they really fit into a deck, I want to have them there. 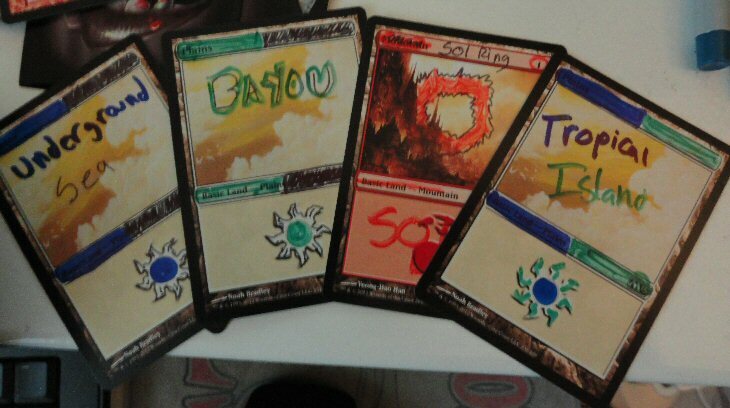 I also proxy Sol Rings (I own about 15-20), but I don’t have to have them in every deck. For the lands and the Sol Ring, I’ll usually just use the sharpie-proxy on the table, and for the non-land permanents I’ll always fish out the actual card from the binder. The key thing here is that I proxy for cards that I really want to have in a deck. 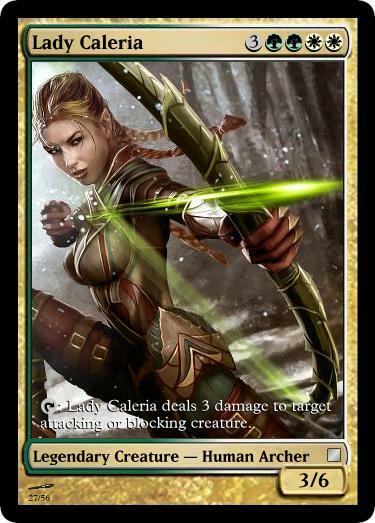 Just because a deck has green, it doesn’t mean I feel that the TryHard Law of Staples requires me to include a Cradle and Survival of the Fittest, but for the 4% of my decks that I want to have a Survival in, I don’t feel super bad about sticking a placeholder in. The other area where I use proxies is for Generals and Planeswalkers. Wiping a foil-common and printing a custom-card decal with MSE is pretty easy (though time consuming), and I like having foil generals, or alternate art generals, or full-art generals. 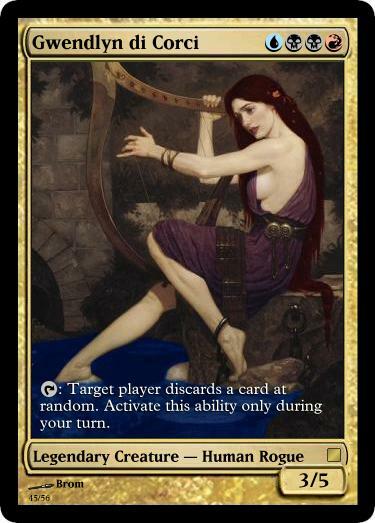 Sometimes the old Legends cards have kind of lame art, so I like to make them look cooler (or I’ve gotten an Italian Legends card because they’re cheap, but want to easily see what it says in English… in those cases I often use a clear sleeve with the cards back to back). 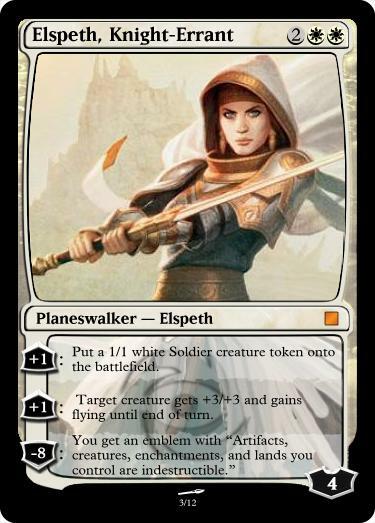 I don’t play Planeswalkers a lot, but they’re usually pretty pricey, and when I do want one for a deck, I really want it in the deck. 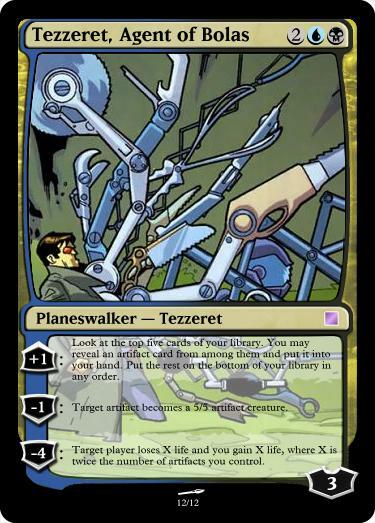 Plus, Planeswalkers ALSO look cool with alternate art, so I’ve made foil-proxies for several of those as well. 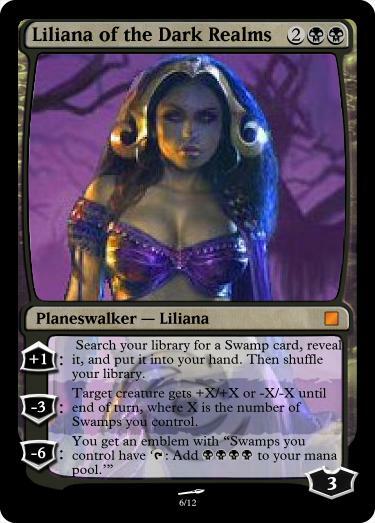 I am planning a WUBRG Planeswalker deck. In order to make that happen, I’m going to have to proxy a lot of them (only ones I own though), but I think it will be cool. I thought about doing alternate arts of DC superheroes (as the “Superfriends”), but instead I’m going to go with Marvel’s “NextWave”. I don’t mind playing against non-placeholding proxies if they’re not going overboard, but only if it’s for play-testing purposes, or because the card is in the mail. However, I’ll usually give a hard time to someone who’s slotting in things like Mishra’s Workshop, or Imperial Seal, etc. In the last few months I have done some de-proxifying of decks. The equipment suite that used to be shared between Kemba, Rafiq and a few others got mostly replaced in Kemba when I decided it wasn’t Voltron. I own a set of Swords of Protection and Value, but I only play them in two of my decks. So, there you have it. I’m a terrible human being that fundamentally ruins your ability to enjoy the game because of individual, non-gameplay-based, choices I make in my decks.